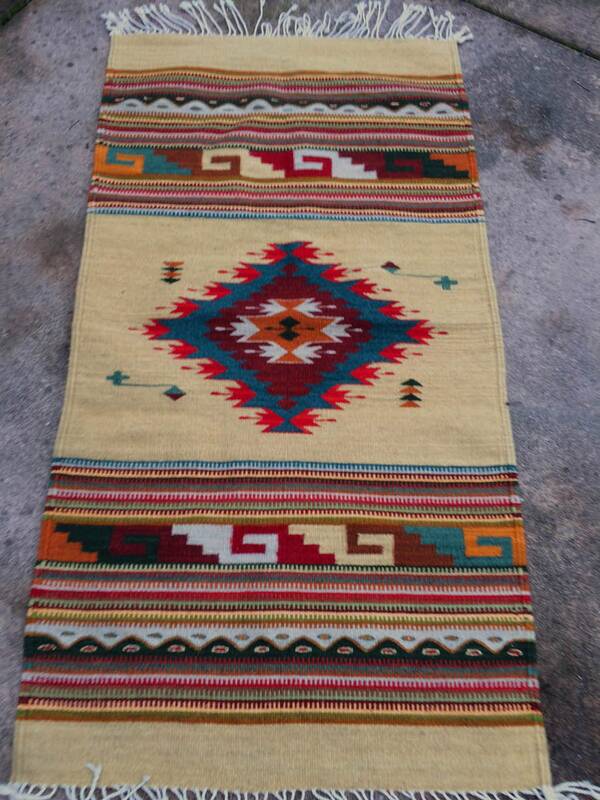 Handwoven wool rug in a Southwestern pattern. 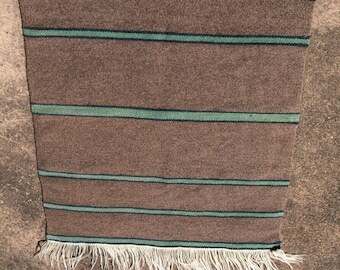 Hand dyed using only natural dyes. 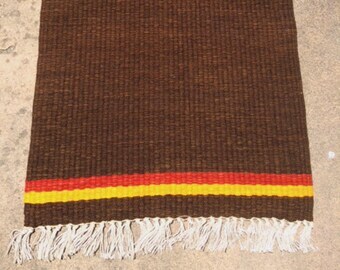 Measure 57" long and 30" wide with 2" of cotton twisted fringe on each end.